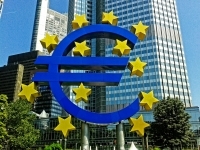 How to consolidate the euro zone? Abstract: Faced with two challenges, that of the convergence of atomised national economies and the reinforcing of the internal cohesion of its structures, the eurozone has to evolve. On the eve of the European Council, leaders have to discuss two series of measures, put forward by the Commission, One focuses on the Economic and Monetary Union (EMU), which governs the euro area and the other, on the Union's budget. After reviewing the situation in the euro area, this paper will analyse the proposed reform of the EMU by the Commission and also by Governments. Some insights are given into the future of the economic and financial landscape, which would be reshaped by the second phase of the Commission's programme. The adoption of measures in the 1st phase of this plan by Europe's leaders as of 2019 would undoubtedly trigger a positive knock-on effect to settle the vital problem experienced by the euro area. This lies in the leadership's weak ability - despite a wide range of tools to hand, to take vital decisions, notably to achieve harmonious growth between Member States. Only this can guarantee the single currency's sustainability. The euro area faces two challenges. On the one hand, leaders must respond to a central question: they have to achieve, via its economic governance, the convergence of its economies (which are disturbingly divergent) towards growth. On the other, the euro area also has to be strengthened in terms of its resilience and its internal cohesion, via credible support and solidarity mechanisms. After a great deal of reform between 2010 and 2013, many initiatives and proposals were put forward to deepen Economic and Monetary Union (EMU), which regulates the euro area. But after the decisive progress made by Banking Union in 2013, we have witnessed a relative stagnation of the transformation process. Divisions are emerging between the leaders, if it is not over the path to follow, it is over the order of the stages. Some have difficulties with the idea of accountability, whilst others object to solidarity. Slowly, a framework, including the two ideas, is now being created. In view of 28th and 29th June 2018, when the leaders must take decisions to reform the EMU, the Commission has delivered some proposals. To assess these measures, we shall firstly look into the euro area's economic and political situation, which reflects extremely contrasted images, depending on the country. Then, the draft EMU reforms, which come in two phases, will be assessed. Whilst the second stage is still only of an exploratory nature, the first, which would provide new impetus to the euro area, could be implemented rapidly. A - Observation: stagnation of reform. The reform of the euro area is on the agenda of Europe's leaders, who now have to take some decisions on this. We should remember that a great amount of urgent legislative work was undertaken during the crisis between 2010 and 2013, providing the EMU with a wide range of means for action. The latter however is weak in the institutional, decision-making and technical areas. In 2012, the project to complete the EMU was drafted, followed by several global proposals: there was the "Five Presidents' Report" in 2015, the Commission's White Paper, followed by 5 reflection papers in the first half of 2017, then a "Package" of proposals by the Commission at the start of December and a draft Union budget (Multi-annual Financial Framework 2021-2027) in May. But despite the wealth of programmes, we note that since the introduction of two key instruments in Banking Union - the Single Supervisory Mechanism and the Single Resolution Mechanism in 2013, no major progress has been made in terms of consolidating the euro area. Although the strengthening of the EMU's banking pillar, which has to be completed, has progressed well, that of economic and budgetary governance is severely lacking and unable to ensure economic convergence and the recovery of public finances. B - Solidarity versus accountability: divergent ideas? The "stagnation" of the reforms is due to two opposing ideas about the progress that should be made by the EMU. France and Italy, with others, are advocating mechanisms to pool risks, to strengthen governance and achieve greater democratic transparency. Sometimes derided and talked of as "the big-bang", this vision is challenged on all sides. For Germany and the Netherlands notably, the euro area's problems are caused by inadequate national policies. As a result, greater budgetary discipline and national structural reform are the prerequisite for progress in terms of the euro area's structure. Focused on tangible progress, this idea makes the respect of the common rules a condition for the introduction of mutual support instruments. Eight countries recently published a joint declaration in which they flatly called for everyone to adopt discipline, rejecting the idea of a common budget, whilst accepting some of the proposals in the Commission's December "Package". These quite different approaches lead to quite differentiated proposals of reform for the euro area, depending on the European capital in question. Some serious reservations do however temper this totally optimistic outlook. France and Germany's political agendas do of course coincide, but in a relative manner. However, the slowness of establishing a new coalition in Germany delayed the Franco-German agreement by as much. We were expecting it for the spring, but it only came on 19th June. Moreover, the election in Italy has led to a period of uncertainty that is darkening the political landscape. Brexit will change the situation in Europe. The departure of the UK, if it happens, will change the Union's internal balance: more than three quarters of the Union's population, against a previous two thirds and 86% of its output, against a previous 73%, will belong to the euro area. The country often maintained a destabilising uncertainty regarding the European project. After the probable exit of the UK from the Union, of the 8 remaining non-euro countries, 6 are future euro area members, the two others, Denmark and Bulgaria, have a currency that is pegged on the euro. The UK's presence in the Union lent an air of fiction to the provisions laid out in the treaties, whereby the euro was the Union's currency. Brexit will close the door on two-tiered Europe. The euro area and the EU will now aim to achieve institutional convergence. Recovery, an element in calming tension, is opening a period that is good for the necessary reforms. However, the euro area, which has been weakened by a serious decline in investment, has some extremely contrasted situations depending on the member in question. 1.3 - Clearly recovering, the economies of the euro area remain weakened and divergent. 2014 had to arrive before the euro area reached its 2007, pre-crisis output level, whilst the USA rose beyond this in 2011. Then, between 2015 and 2017, the euro area's output rose by around 2% per year, but in 2017 it only passed 6 points beyond its 2007 level, whilst it was 15 points higher in the USA. The euro area's growth potential was divided by three after the crisis (2009-2013), to recover as of 2015, without achieving the level of the period covering 1999-2008. The euro area and the USA also illustrate extremely contrasted economic pictures, to the euro area's advantage in terms of public finance and foreign trade, but to its detriment in terms of employment. If we consider eight of the euro area's main economies in 2017, sharp differences emerge. On the one hand the "countries of the North" (Germany, Netherlands, Austria), have output levels that are 9 to 12 points higher than their pre-crisis levels in 2007; their unemployment rates are low, between 3.8% and 5.5%; public finances are in surplus or balanced, together with contained public debt (between 57 and 78% of the GDP) and finally, they have significant current account surpluses, notably in the case of Germany and the Netherlands, with 8% and 10% of the GDP respectively. On the other hand, the four main countries in the South (Italy, Spain, Portugal and Greece) have not recovered their 2007 output level - with the exception of Spain; unemployment is high, especially in Greece and Spain; public debts levels are very high, after long periods of deficit, and they have witnessed a sharp decline in their growth potential level (between -1.5 and 0.8% in 2016). Between these two groups, in 2017 France lay in the middle from the point of view of its output (+7 points in comparison with 2007), but its other indicators remain mediocre: unemployment is high (9.4%); the public deficit means that the country is still under supervision, whilst public debt, at 97% of the GDP, is 37 points over the required maximum; the current account deficit, which has been of a structural nature since 2005, totals 3% of the GDP. Several proposals to reform the Economic and Monetary Union (EMU) have been drafted: firstly by the European Commission, then by the governments of the Member States; finally by the institutions and panels of experts. 2.1 - The Commission's "Package" to complete the euro. The Commission's proposals focus on rapid action, without changing the treaties, before the European elections in May 2019. A more distant phase (2019-2025) has been mentioned, supposing that certain modifications to the Treaties are made. A - During the first phase, the action to take would be the following. • It would provide a safety net for the Single Resolution Fund (SRF) created in 2013 as part of Banking Union; planned for from the very beginning, such a backstop function to support the SRF, if it lacked resources in the event of a banking crisis, would give rise to a strict repayment of the pledged sums. • It might play a role in the future mechanism to stabilise euro area States' investments, if the latter found themselves in a difficult period. This tool would be used to protect public investments. It would be an instrument of last resort, a support to national budgets. This new tool would be the start of a euro area budget. The EMF would take action (in the shape of loans, lines of credit), alongside the Union's budget (in the shape of back-to-back loans, under 30 billion € and subsidies) and a future insurance mechanism (on the contribution of the Members States or specific resources). The triggering of these operations would be almost automatic, depending on pre-defined criteria (negative development of unemployment or investment for example), but subject to the strict respect of economic and budgetary discipline of the euro area. • Its participation, alongside the Commission and the ECB, in financial assistance programmes for Member States finding themselves in serious difficulty, would be strengthened. An emergency procedure is planned for when the euro area's financial stability is threatened, with a reinforced qualified majority vote backed by 85% of the votes of the council of governors. • The duties of representation of these roles (vis-à-vis the European Parliament and also national parliaments). Hence the minister would coordinate the implementation of the economic policies and tools by bringing together the responsibilities, means and expertise at his disposal. • The convergence mechanism, which according to the same rules, provides financial and technical support to euro candidate countries, which are already moving towards integration. • an extension of the Single Supervisory Mechanism created by the ECB in 2013 to large investment companies which exercise, in part, similar activities to those undertaken by banks. • The Financial Union would involve the development of the Capital Markets Union; the creation of a European risk-free asset, in the shape of a common public debt emissions instrument, to foster liquidity and the diversification of bank balances; the possible revision of the regulatory treatment of State bonds; the development of the above mentioned European deposit insurance scheme. • The Economic and Budgetary Union would include new convergence standards linked to the stabilisation mechanism; the launch of this mechanism; the implementation of the new Multi-annual Financial Framework; the revision of the rules governing the Stability and Growth Pact. • An institutional level would aim to achieve the following: an Economy and Finance Minister exercising his/her role to the full; an operational European Monetary Fund; the introduction of a euro area specific Treasury. Marked by contrasting traditions, the French and German positions do show some areas of agreement. A budget for the euro area to finance common investments and to play a stabilising role. This budget would be financed by European digital and environmental taxes, as well as by corporate tax, once harmonisation has taken place. The revival of the idea of taxing financial transactions might provide a new resource for the European budget to fund development aid. A euro area Finance Minister to coordinate economic policies under the supervision of a euro area Parliament. The budget under consideration might lie at the level of the euro area's institutions. Note that if it has to function with its own resources, this would require a change to the Treaties. Moreover, using corporate tax to finance it might only be considered for the mid-term. As for the Finance Minister, whose institutional establishment is not specified, a modification of the treaties would also be necessary if he/she were called to taken binding decisions. After the slow formation of a new coalition CDU/SPD, the German Chancellor broke her silence in June, followed by her Finance Minister Olaf Scholz. A desire for the convergence of the economies and the fiscal systems is now emerging. Fiscal alignment would notably involve corporate tax and the taxation of the digital sector, with the GAFA being the main target. The government supports an investment budget, but of limited size. Unlike the French proposal, this budget would be within the framework of the Union. This might also be funded by a tax on financial transactions. A common unemployment insurance fund might be created to play a role of reinsurance, in the shape of reimbursable loans, vis-à-vis struggling national systems. This fund, which would be similar to those that exist already in Germany or in the US, would resemble the future European Deposit Insurance Scheme, mentioned above. The creation of a European Monetary Fund (EMF) based on the ESM, according to the framework set out by the Commission, is an integral part of the government coalition contract. The EMF would provide the safety net that has already been mentioned. Mid-term and not just long-term lines of credit might be granted to States encountering temporary difficulties on the capital markets. These subsidies would go together with a supervisory capacity on the part of the EMF. The foundation of a Franco-German Agreement. The joint declaration of Meseberg on 19th June by the French President and the German Chancellor marks a clear determination to strengthen bilateral relations on either side of the Rhine. Indeed, the text provides for a new Elysée Treaty for the end of 2018 and covers vast areas: migration, foreign policy, real initiatives in the area of defence, the climate and European institutions, with a reduction in the number of commissioners. As for the reform of the euro area the lines of a common platform are as follows. The principle of a euro area budget has been agreed. It would begin in 2021, undoubtedly as part of the Multi-annual Financial Framework 2021-2027, and its role would comprise the promotion of competitiveness and the convergence and stabilisation of the euro area. It might fund new investments. The resources of this budget, whose total, which has not been given, would not be much more than a ten or so billion €, including European funds, State contributions and tax revenues. According to the German idea it is planned to consider the principle of a European stabilisation unemployment insurance fund. The European Stability Mechanism (ESM) would be revised at first, then integrated into European law, possibly in 2019, undoubtedly with a name other than EMF. It would play the role of safety net and this before 2024, if the counterbalances mentioned in terms of risk reduction are deemed sufficient. Mid-term precautionary credit lines, defended from the German point of view, might be granted to countries experiencing problems on the market. All aid given to countries from the ESM would go together with the principles of conditionality, matching the instrument being used. This would notably involve the respect of the economic and budgetary rules and a right to review public debt. The means of the governance of the ESM in its future configuration, which is a sensitive issue, have not yet been decided. As for Banking Union, the declared intention is to complete the programme, which was the focus of a Franco-German agreement on 16th May last and approved by the Union at the end of May. However, the European Deposit Insurance System is still being blocked by Germany, which is setting the reduction of financial risks as a prior condition. Discussions regarding this issue are to be addressed after the European Council. The issue of fiscal alignment is also being addressed. To counter aggressive tax optimisation on the part of several trans-European groups, a principle to harmonise the corporate tax base has been found. This would set taxation according to the economic activity undertaken in each country and not according to profits alone. A common position on the Commission's draft directive of October 2016 has been defined. Moreover, the wish to achieve a European agreement on the taxation of the digital sector by the end of the year has been re-iterated. On three major issues: the euro area budget, the transformation of the ESM and Banking Union - apart from the notable lack of progress on the part of the German leaders regarding EDIS, we might note at this stage real convergence of the Franco-German agreement with the proposals made by the Commission. Progress in the fiscal area, a chronic stumbling block in European history, has to be pointed out. However, the integration of the Budgetary Treaty, just like the introduction of a euro area Minister are not part of the declaration. We might mention the comprehensive approach published by a group of Franco-German economists and the position of the Bank of France. • Reforming the institutional structure of the euro area with the introduction of an Economy and Finance Minister. Some proposals, criticised by some economists, are similar to those of the Commission. But conversely this contribution does not lay out a timetable aligned with a political agenda. Yet, some of the actions that have been considered, such as the change in budgetary rules cannot occur without the modification of the Treaties, which is only conceivable in the mid-term. • A fiscal accelerator which would privilege investment and future action (notably in support of education) in public spending with the support of a euro area investment budget in regional common goods involving digital matters, security and energy transition. 3 - How to complete the creation of the euro? A - Regarding the Commission's approach. Simplicity, rapidity and unity in transparency, these are the key words in the Commission's roadmap. This approach has the merit of making a clear distinction between the short and mid-term political horizons. Simple to implement, the creation of the Economy and Finance Ministry, provided with the means, would respond to the main shortfall in economic governance: the inadequacy of decision making capacities. Moreover, the Commission's proposals could be realised without raising the spectre of changes to the Treaties for a good time to come. The minister might be in office as of the autumn of 2019, after the European elections. The new fiscal tools would be integrated into the financial framework post-2020. For the EMF and the Budgetary Treaty, legislative proposals could be adopted by mid-2019. With this programme the Commission will be drawing on the new internal balances created by Brexit and is suggesting to align the euro area's structures and tools with those of the Union. Access to the ESM/EMF and the Banking Union is indeed open to all of the non-euro countries. The clearly defined prospect is that all of the Union's countries will join the euro area, thereby ending scenarios of a two-tiered Europe. Moreover, the Investment Stabilisation Mechanism would integrate the European budgetary framework. B - The European Monetary Fund (EMF). The creation of the EMF based on the ESM is still the focus of discussion. This project encourages several remarks. The role of the EMF as a safety net for the Single Resolution Fund (SRF) might be extended and consolidated in the future. Its support should logically cover the European deposit insurance scheme that has yet to be established. Hence, we would have the true backing of the Banking Union's assistance tools. Moreover, the EMF, that is to be capped at 60 billion € in its actions in this role, might itself be backed by a real lender of last resort. This could only be the ECB, which would agree, if necessary, to an emergency, reimbursable line for the EMF or a bank that was the focus of a resolution under its responsibility and which was facing a temporary liquidity problem. Similar support measures to the proposed backstop from the EMF to the SRF exist in the major OECD countries. In the USA, the FDIC (Federal Deposit Insurance Corporation), a deposit guarantee and resolution fund is backed by the Treasury and can be granted a line of liquidity by the Fed. This issue is deemed to be the priority by Europe's leaders. Discussions are underway in a framework established by the Council of June 2016, which subordinates progress in the risk sharing mechanisms to those undertaken in the reduction of banking risks. An agreement has just been reached on the reduction of risks, leading to hope of progress regarding solidarity mechanisms, the SRF and the EDIS. The Commission's new proposal of October 2017 now has to be adopted to support the foundations of Banking Union. The guarantee of deposits across the euro area will consolidate the national systems and be a factor of financial stabilisation, whilst preventing bank panics in the event of crisis, and also protecting the smooth functioning of the single market of financial services. For several years the Commission has been trying to achieve greater integration of the European budget and of the investment plan with economic governance. In the draft MFF 2021-2027, a financial and technical support programme is provided to support national reform, notably those identified as part of economic governance (European Semester). These so-called structural reforms focus of the modernisation of the economies. They concern mostly education, the labour market, tax systems and administrative simplification. Totalling 23 billion €, the aid planned will be the focus of a contract with the State involved, linking aid to the respect of commitments made. These tools are most welcome and are helping towards economic governance. However, the euro area's main problem lies in its leaders' excessive weakness in countering the worrying divergence of its economies, notably since the crisis. These differences are leading to untenable social situations in the countries in difficulty in the south and to extreme political polarisation, an example of which has just been provided by Italy. The euro area cannot be viable mid-term without the convergence of its economies. Leaders have a restored framework of economic governance and some powerful instruments at their disposal: the ESM, a financial assistance tool, the Investment Plan, a development tool, not forgetting the monetary tool to be found in the ECB, which does not hesitate to provide its support. But the economic governance measure has not been deployed to the full because it is being impeded by many intergovernmental structures in which the norm of consensus, disguised as "peer pressure" is preventing vital decisions, via appropriate policies, such as the rebalancing of foreign trade, between countries with monumental surpluses and those in deficit. It is on this point that a Finance Minister, who has the means, might accomplish true follow-up to the Commission's per country recommendations that are too often ignored and thereby bring pressure to bear on Europe's leaders. 3.2 - Which critical path for the consolidation of the euro area? On reserve of having made sufficient progress by mid-2019 the Commission is planning further stages to strengthen the foundations of the EMU between 2019 and 2025. These guidelines are ordered in three areas: Financial Union, Economic and Fiscal Union and institutional reform. These are areas of work comprising many alternatives, of which we shall focus on the first two parts: a new financial landscape, notably with the Capital Markets Union and a budget to stabilise the euro area and develop towards a Treasury. The reshaping of the financial sphere is necessary to rise to the challenges of technology and sustainable development. Indeed, the financial system of the euro area, which is extremely different from that of the USA, where financial markets traditionally play a significant role, is mainly based on bank intervention. Yet banks are subject to three powerful vectors which will necessarily lead to a rebalancing in the financial sphere: regulatory pressure, which has increased sharply since the 2008 crisis; the intervention of new competitors, the "fintechs"; and new requirements linked to green and technological revolutions. The regulatory constraints to which banks are subject, rising sharply under the leadership of international regulators, are now proportionate to their size. This development aims, quite rightly, to support financial stability. It will lead however to the reduction of the banking sector's share in financing. Likewise, the emergence of new financial technologies (FinTechs) will introduce new competitors in banking. Meanwhile, on the side of customers, new financial requirements linked to energy transition, major infrastructures and innovation will demand equity and long-term resources, rather than bank financing. Indeed, equity and long-term resources have to be gleaned mostly from the capital markets or from non-bank players, like insurers, pension funds or investment funds. • Moreover, the action plan provides for the harmonisation of national fiscal and insolvency rules. Expectations are for a major continental bonds market. The idea of deregulating the national State bond markets to merge them in a grand European market seems to be another important prospect in the reshaping of the continental financial system. A merger of sovereign bonds would be interesting in that it would reduce risks taken by the States in the portfolios of their domestic banks. The interdependent relations between the States of Europe and their domestic banks, often qualified as a vicious circle, has weakened national economies in the post-crisis landscape. The merger of State debts would also be interesting in that it would create a vast continental bond market, like the one in the USA. Improved financial integration would lead to a more satisfactory transmission from the monetary policy to the economy. From this standpoint, two main instruments have been planned by the Commission: the creation of sovereign bond-backed securities and the emission of a European risk-free asset. The creation of sovereign bond-backed securities would be based on the bond portfolios of the euro area Member States. The portfolios would be securitised and placed on the market to diversify the possession of this type of security in the bank portfolios. After assessing the question the European Systemic Risk Board, the Commission published a proposal as part of Banking Union to organise the securitisation of these portfolios by market actors. The sophisticated kind of securitisation, planned here, comprising the splitting of portfolios into progressive sections in terms of risk and yield, was one of the financing methods that led to the last crisis. Would the new framework for "simple, transparent and standardised" securitisation provide sufficient guarantee to counter the risks inherent to this technique? The emission of a European risk-free asset - unlike the previous tool, involving previously issued sovereign bonds, would aim to create, in the long term, a common public debt emission instrument. There are several possibilities under consideration: common public debt emissions might be total or partial; there could be some pooling, this point being is extremely controversial. B - From the Stabilisation Tool to the Eurozone Treasury. At the European Council in March 2018 the question of the euro area budget remained open. Indeed, Donald Tusk asked the following: Do we need a euro area budget? If yes, to what purpose? Stabilisation? Would this be designed to support investments? If we look into the reasons for State intervention in the economy, which is the area of the Public Economy, we can see three roles, according to the famous Musgrave trilogy : an allocation role (corresponding amongst others to sovereign attributions) a redistribution role (to correct inequalities, notably regional ones) and an economic stabilisation role. It is acknowledged that the European Union's budget has to cover the first two roles. As for the third, we agree to say that the euro area has specific budgetary needs, linked precisely to its stabilisation requirements. Indeed, it has to compensate for the loss of the stabilising aspect of the national exchange rate policy, which disappeared with the introduction of the single currency. Hence, the economies of the euro area are more vulnerable than before to asymmetrical shocks that affect one country more than others. A euro area budget should therefore palliate the loss of the exchange rate. With this established, it remains to see whether a stabilisation mechanism affected to the euro area should be an integral part of the European budget or an extra-budgetary instrument at the euro area level. The Commission's response lies in an Investment Stabilisation Mechanism integrated into the EU budget. After its proposals for the future MFF on 2nd May, on 31st May the Commission published a new set of proposals designed to "firmly anchor the euro area in the Union's budget". This project includes a draft regulation laying out the means of intervention of the Investment Stabilisation Mechanism. This would function according the principles above discussed in this paper (part 2). A rapid agreement by Europe's leaders on this point would lead to a gradual easing into the progressive plan put forward by the Commission: the intervention of the European budget would then be completed by that of the EMF, then by an insurance mechanism functioning with specific resources (ecological tax, unemployment insurance) or funds from the Member States. This configuration would be advantageous in that it would avoid the duplication of the institutions between the Union and the euro area, which would notably mean a parliamentary group for the euro area. Moreover, Brexit provides a decisive argument in support of a unification of the euro area's structures with those of the Union. Towards a euro area Treasury? - finally, the emission of a risk-free asset. Chaired by the "European Minister for the Economy and Finances", this Treasury would cover all of the competences which are dispersed at present. It would prepare the decisions to be taken by the Eurogroup and would then execute these decisions. The Minister would chair the Eurogroup and the Ecofin Council. The measures planned by the Commission for the second phase, designed to consolidate the EMU, are interesting and lay the foundations for a new financial landscape, but they remain hypothetical. In opposition, the adoption of the programme planned for 2019 prior to the European elections would certainly provide new impetus to strengthening the euro area. Technically easy, this programme is realistic. Its implementation would cause a knock-on effect so that we can move on to the next stages: deployment of the attributions of an Economy and Finance Minister, in terms of economic governance and external representation, boosting the Stability Mechanism, strengthening the EMF in its functions. For the time being the agreement of Europe's leaders is far from being settled. Some might lean towards a postponement of the decision until after the elections. Reticence is emerging in some countries in the North, who are insisting on the fact that progress in accountability must condition any progress in terms of solidarity. The introduction of a euro area Minister would be a decisive element in terms of consolidating the EMU. This executive who would have the means, would be a catalyst in a movement towards strengthening the decision-making power of intergovernmental bodies, whose present weakness is the Economic and Monetary Union's soft underbelly. Determined measures on the part of the leaders are indeed necessary to activate the coherent set of instruments which they already have to hand, in terms of economic governance and support. Herein lies the possibility of raising growth in the euro area and increasing the level of employment, the convergence of the economies and finally of improving citizens' support - a vital condition for the sustainability of the euro. The European Council will take place on June 28th and 29th. White Paper on the future of Europe, plus five discussion documents. The draft "Multi-annual Financial Framework" was published on 2nd May 2018 and its supplements on 31st May. Declaration by 8 countries: Netherlands, Estonia, Lithuania, Latvia, Finland, Ireland, Denmark and Sweden (the latter two countries are not part of the eurozone). With Sweden included but reticent. Treaty on European Union, art. 3 para. 4 : "The Union establishes an economic and monetary union whose currency is the euro." Source: European Economic Forecast, Spring 2018. Germany, France, Italy, Greece, Portugal, Spain, Austria, The Netherlands. In 2017 these 8 countries represented, 89% of the GDP and the eurozone's population. European Economic Forecast, op. cit. France should come out of the excessive deficit procedure by the end of June 2018. The TSCG, including the "golden rule" on the balance of public finances entered into force in 2013, was due to be integrated into Union law after five years, ie at the beginning of 2018. Articles 12 to 14 of the draft EMF statutes. Articles 4 of the draft EMF statutes. By the simple adjustment of protocol 14 on the Eurogroup annexed to the treaties. Multi-annual Financial Framework 2021-2027, op. cit. See the Communication dated 11th October 2017 on the Completion of Banking Union, op. cit. See the Sorbonne Speech dated 26th September 2017. Interviews with Angela Merkel, Frankfurter Allgemeine Zeitung, on June 3rd 2018, and with Olaf Scholz, Der Spiegel, 8th June 2018. Signed in 1963, the Elysée Treaty establishes the terms of a wide Franco-German cooperation including regular joint Councils of Ministers. In line with measures included in the Lisbon Treaty. The name EMF, copied from IMF, has a political connotation. Moreover, to speak of the European Monetary Fund seems incorrect for a fund that would not create money. The ESM's decisions in terms of the bail out of Member States have to be approved by the Bundestag and the Constitutional Court in Karlsruhe. See amongst other the speech by François Villeroy de Galhau, Governor of the Bank of France, " De nouvelles idées pour l'Europe ", 15th February 2018,. Except for Denmark, due to an opt-out clause from the EMU. The Danish currency is pegged however to the euro. Mario Draghi: "Risk-reducing and risk-sharing in our Monetary Union". 11th May 2018. Ecofin, Press Release 25th May 2018. This notably means the rules mentioned above (Basel III and TLAC). Solvency II is the capital ratio applicable to insurers, similar to that of banks with Basel III. Three sectoral authorities, qualified European Supervisory Authorities, were established in 2010, comprising: the European Securities and Markets Authority, the European Banking Authority and the European Insurance and Occupational Pensions Authority. They are supervised by the European Systemic Risk Board. European Commission: A Framework favourable to the creation of bond-backed securities (or Sovereign Bond-Backed Securities), 24th May 2018. Discussion Document on the deepening of the EMU, op. cit. Euro Summit, leader's agenda note on the EMU, 23 March 2018. Musgrave, Richard A. (1959). The Theory of Public Finance: A Study in Public Economy. Reflection paper on the deepening of the EMU, op. cit. PhD in Economics (Paris-1), researcher and independent consultant, Dominique Perrut is the author of papers, articles and works on financial intermediaries, regulation and the European economy (L'Europe financière et monétaire, Nathan; Le système monétaire et financier français, Seuil, coll. Points). Part-time Professor of the universities he has taught economy both in France and Europe (1992-2013). He works with several European think-tanks and ONGs.